Marcus A. Williams is the founder and Managing Member of Gryphon’s Door, LLC, a consultancy specializing in M&A, strategic investments, structured finance and operations of Big Data business startups in multiple industries, including cyber security, financial technology (FinTech), business process outsourcing (BPO), health care and new media. From 2011 through 2014, Mr. Williams was engaged (through Gryphon’s Door) as the chief legal officer of ISC8 Inc. (OTCB: ISCI; www.isc8.com), an emerging worldwide cyber security solutions company, based in Southern California and Metropolitan Dallas, where he led M&A activity, Board governance, securities compliance, and strategic corporate finance and development projects. Mr. Williams previously served on the ISCI Board of Directors (Committees: Compensation; Governance & Nominating), and stepped down from the Board to join senior management of ISCI. Before founding Gryphon’s Door, Mr. Williams was Vice President of Transactions and Development with TechTeam Global, Inc. (NASD: TEAM; www.techteam.com), a publicly traded, worldwide provider of IT BPO services based in Metropolitan Detroit. He elevated to this role from Assistant General Counsel of TEAM. Mr. Williams served a similar role for TEAM subsidiaries domestically and internationally, including TechTeam Government Solutions, Inc., a provider of classified IT services to defense and related agencies of the United States government based in Metropolitan Washington DC. Mr. Williams led the sale of both TechTeam Government Solutions, Inc. and TechTeam Global, Inc., with both transactions closing in late 2010. Before TEAM, Mr. Williams was an Attorney then a Shareholder in the Transactions & Finance Practice of the Detroit law firm Butzel Long, PC (www.butzel.com). In his law practice, Mr. Williams represented public company boards of directors, entrepreneurs, founders and senior management teams in the IT and automotive manufacturing industries, in a wide array of M&A and financing transactions, as well as in governance and securities matters. 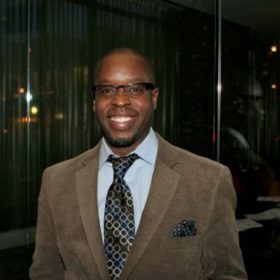 Mr. Williams began his career as a tax consultant with PricewaterhouseCoopers (www.pwc.com), and also served as a real estate and environmental lawyer representing governmental entities and development authorities in urban development and renewal projects in and around Metropolitan Detroit. Mr. Williams earned his BBA (Finance) from the University of Michigan Ross School of Business, and his JD from the University of Michigan Law School. He has served on numerous non-profit and philanthropic boards throughout his career.